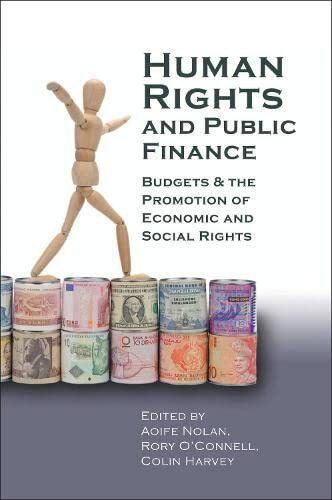 [PDF] Human Rights and Public Finance: Budgets and the Promotion of Economic and Social Rights (Human Rights Law in Perspective) | Free eBooks Download - EBOOKEE! Description: This edited collection addresses some of the most important challenges in contemporary human rights law and practice. Its central theme is the linkage between public finance, particularly budget decisions, and the realisation (or not) of economic and social rights. While much academic and political debate on economic and social rights implementation has focused on the role of the courts, this work places the spotlight squarely on those organs of government that have the primary responsibility and the greatest capacity for giving effect to such rights: namely, the elected branches of government. The major actors considered in this book are politicians, public servants and civil society, with their role in realising economic and social rights the work's key focus. The book thus makes a crucial contribution to remedying the current imbalance in attention paid by economic and social rights scholars to the legislature and executive vis-a-vis the judiciary. Featuring pioneering work by leading experts in the field of human rights and public finance, this multidisciplinary collection will be of great interest to academics, practitioners, public servants and students working in the areas of law, human rights, economics, development and political science. No comments for "[PDF] Human Rights and Public Finance: Budgets and the Promotion of Economic and Social Rights (Human Rights Law in Perspective)".